The archaeological site known as El Cuartelejo in Scott County has been excavated more than any other site in Kansas. This unique site is the remains of a pueblo—more commonly found in the southwestern United States, particularly in Arizona and New Mexico. In the Southwest, pueblos are in use today but also were built for hundreds of years before Spanish explorers entered the area in the 1500s. 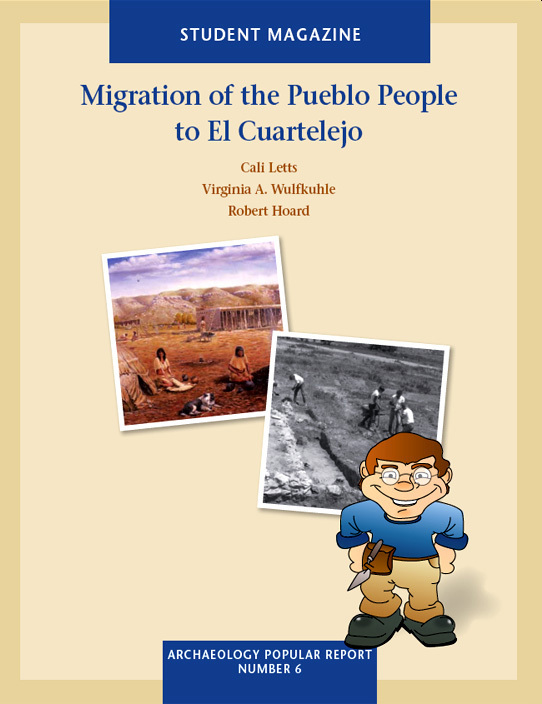 El Cuartelejo was hundreds of miles north and east of any other pueblo; it stood alone. Some of the indigenous people in the Southwest resisted attempts by the early Spaniards to rule and convert to them to Christianity. The Picuris, one of these groups, fled the Spaniards who were taking possession of the Puebloan people’s New Mexican homeland. They traveled to live with the Plains-dwelling Apache Indians, their trading partners for decades. This lesson is based on three lines of evidence that are presented to students in a format that allows them to use primary sources and draw their own conclusions, but also provides the results of in-depth research by archaeologists, historians, ethnographers, and descendants of native peoples. It also offers a lesson in stewardship—the story of the Steeles, who homesteaded the land, brought the site to the attention of archaeologists, and eventually donated the site to the state of Kansas. The story of El Cuartelejo is a compelling one that teaches students about what archaeologists do, what the results of their work can tell us, and why we should preserve our archaeological heritage.